Walk with Chrissie in fabulous Dartmoor in Devon. 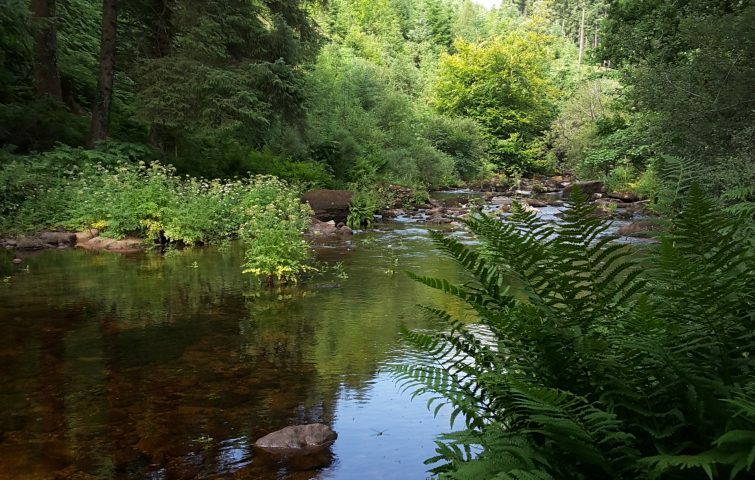 The walks will explore some of the varied landscape around Dartmeet, including the deep wooded valleys with tumbling rivers and ancient stepping stones, and the impressive granite tors that give Dartmoor its distinctive character. Cattle and sheep graze on the high open moorland. Cream teas are part of Devon life and they don’t get better than on Dartmoor! We’ll be based at Brimpts Farm which nestles in the heart of the West Country’s Dartmoor National Park in Devon. It has been a Duchy of Cornwall tenant farm since 1307. The Bradford family runs The Farm; Andy manages the estate and has steadily restored the outbuildings to create an idyllic sanctuary of calm. Gabrielle, Jenny and Jo run The Farmhouse, Kitchen, Tea Rooms and Accommodation. Brimpts is a wonderful place to visit in a stunning setting and has earned itself a well-deserved reputation for good, old fashioned hospitality. Brimpts has a hot tub on site so don’t forget to pack your swim suit!